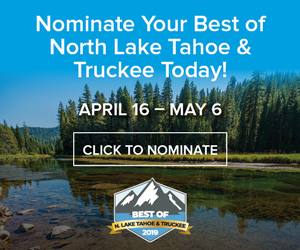 SOUTH LAKE TAHOE, Calif. — Police are attempting to identify the suspects involved in a drive-by shooting at the Pioneer Inn Motel in South Lake Tahoe Thursday night. Investigators are questioning the owner of a vehicle fitting the description of the vehicle used in the shooting, but authorities have yet to identify suspects and motives behind the shooting, according to a press release from the South Lake Tahoe Police Department. Investigators also are questioning several other people who were at the vehicle owner’s residence on Pioneer Trail Friday morning. Witnesses said they suspect the crime might be related to gang activity, however, police have yet to confirm this detail. Law enforcement first received a report of a drive-by shooting at the motel, located at 3863 Pioneer Trail, just before 10 p.m. Thursday. At first, officers were unable to locate the suspect vehicle, described as a dark pick-up truck, or any of the involved suspects. According to witnesses, several young Hispanic males were the truck, which was traveling westbound on Pioneer Trail prior to stopping in front of the Pioneer Inn Motel parking lot. One or more of the occupants began shooting into the parking lot area of the motel before the vehicle continued westbound on Pioneer Trail. Witnesses said several rounds were discharged from the vehicle, but a specific number has not yet been determined. No one was injured, according to the press release. South Lake Tahoe patrol officers continued to search the area throughout what police described as “a very busy night” and eventually located a vehicle in the 3600 block of Pioneer Trail that generally matched witnesses’ description. Investigators confirmed the vehicle was in fact the one involved in the shooting, and after sunrise Friday morning police, with assistance from the El Dorado County Sheriff’s Office, contacted the owner of this vehicle. Detectives seized the vehicle pending a search warrant, according to the press release.